It's almost Mother's Day! I love Mother's Day, probably because I have a wonderful Mom that I get to celebrate with, and because I have 2 wonderful girls who bring me a tremendous amount of joy. Don't get me wrong, they deliver some other things to me too, but I wouldn't trade anything in the world for them. Well if you didn't know, I am participating in "A Card a Day in May". 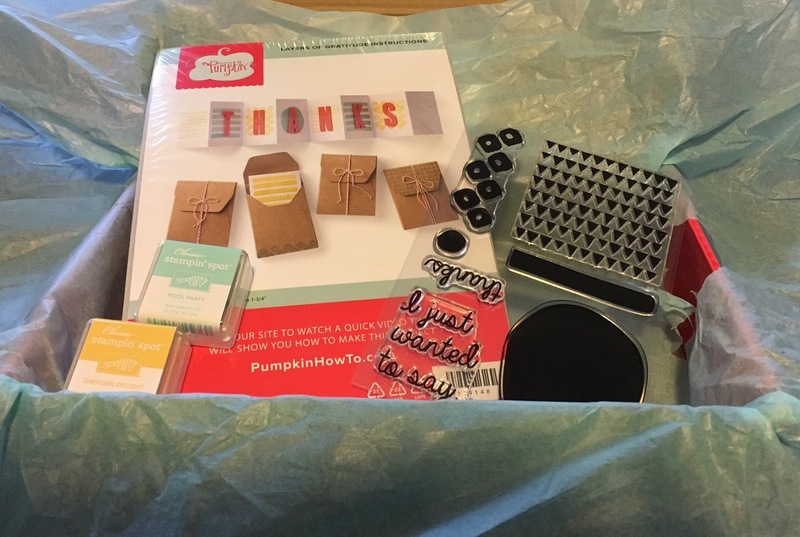 My upline with Stampin' Up! challenged us to do this. 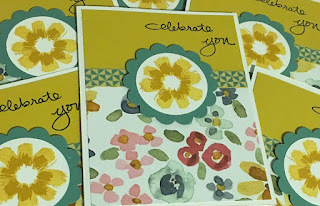 Each day in May I will send out a card to someone. Maybe a family member, friend, Soldier, a sick one in the hospital, who knows, but each day a card goes out. To do something else even as simple as a homemade card for someone else, sure changes your outlook on things. It helps you be happy for the little things in life. I thought in honor of Mother's Day, I would do a giveaway for all the Mom's out there that feel like they don't have time to craft or do something for themselves. I am giving away 1 month of Paper Pumpkin!!!! Remember, Paper Pumpkin is a craft box that comes in the mail to you once a month and includes everything that you will need to craft the items in the box. The only thing you will need is some adhesive, what the heck....I'll include that too! 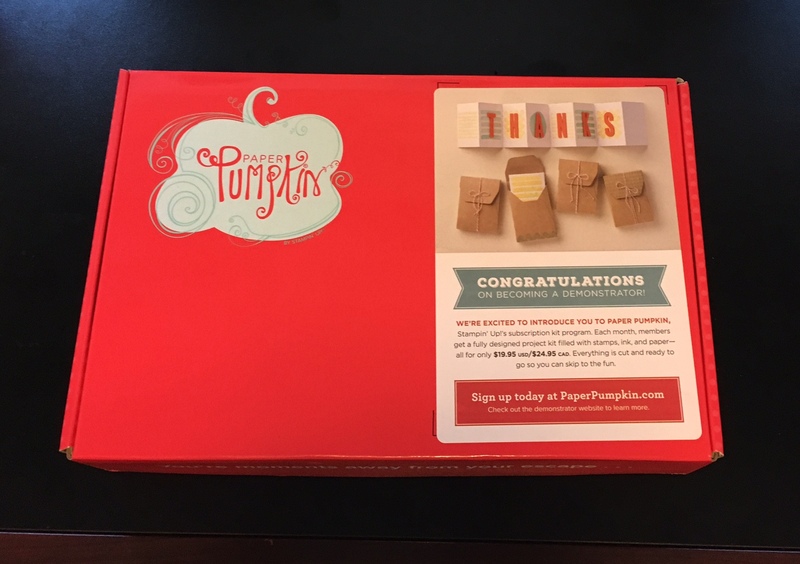 The winner of this contest will not only get the Paper Pumpkin box, they will also get a Stampin' Up! Snail adhesive so that you literally don't need anything else. All you have to do is ENTER. That makes this a $27 giveaway! Just think, you'll have this wonderfully wrapped box that comes in the mail. You get to unwrap it, and then enjoy 30 min of crafting time. Paper Pumpkin includes the directions to do all the projects in the box, so you can do it exactly as it says, or if you have a creative flair, then you can add your own ideas, and do something different with the products. 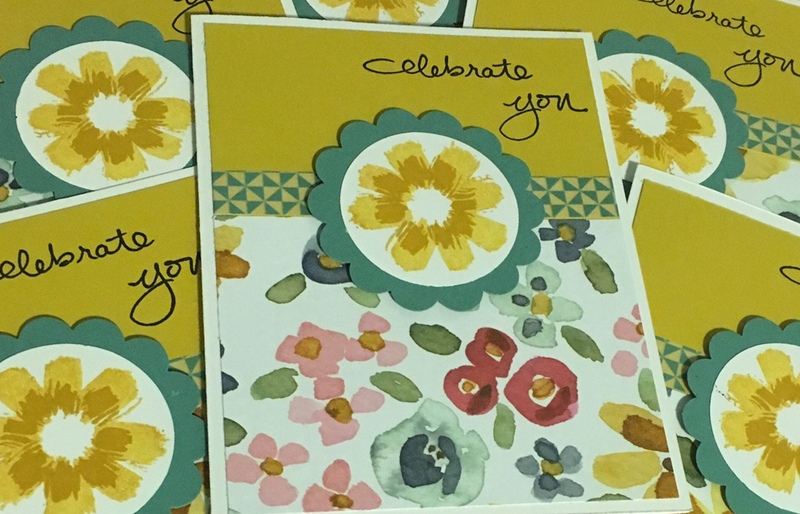 I also made some Mother's Day Cards for those in my family, along with some treats for my husbands coworkers. I want them all to know that someone thinks they are special. I really enjoy making all this stuff. It is seriously such good stress relief for me. Don't forget to leave a comment below to be entered to win 1 month of Paper Pumpkin and a free adhesive. You have always been so creative. I love your cards! Happy Mothers Day to you and your mom. LOve your cards and all that you do for us.